Dave Smith Frontier Sales is ALWAYS DEALIN DEALIN DEALIN!!! What does Dealin Dealin Dealin mean to you? It starts with General Manager, Troy Hojem. Troy takes special care to pick only the very best vehicles from our trade ins and vehicles purchased at the auction, to have on display for sale at Dave Smith Frontier Sales. Troy personally looks at every single vehicle before it goes up for sale. Each vehicle is sent to our ASE certified Service Center at 1902 North 4th Street in Coeur d’Alene for inspection. We make sure that every vehicle is in top condition before we put it up for sale. Prior to the vehicle going on sale Troy has done his job to Deal-Deal-Deal-and get the BEST price on a vehicle at the auction or through a trade in. 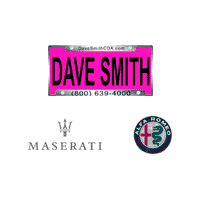 At Dave Smith Frontier Sales we believe in making a life-long customer not a one-time customer. Dealin Dealin Dealin to us means we GO OUT OF OUR WAY to Deal with you. We are always working to make sure we get you the best deal on any car, truck, van or SUV you purchase with us. It is important to Dave Smith Frontier Sales that we give you the LOWEST possible price available so that you walk away feeling like you got a GREAT DEAL! GREAT deals are what start the life-long relationship with our customers, and GREAT service is what keeps our life-long customers. We work hard to make sure every part of your dealings with Dave Smith Frontier Sales are fun and easy!!! When you are looking for a GREAT DEAL — come to the home of Dealin Dealin Dealin —-Dave Smith Frontier Sales, located at 2021 North 4th Street in Coeur d’Alene. We look forward to making a life-long customer and friend out of you soon!